Travelling Guide to Yogyakarta, your Southeast Asian paradise. Tailoring your off the beaten track Southeast Asia adventure. To begin, this is the map of all the attractions that this post will cover! Tick another UNESCO World Heritage site off your list with Borobudur Temple. One of the most amazing Buddhist temples and on the bucket list of plenty of travellers around the world, Yogya will not be complete without a visit to the 9th century Mahayana temple. They have earned their UNESCO badge early in 1991. Borobudur came under worldwide radar due to the efforts of Sir Thomas Stamford Raffles when Java was under British rule. Given its proximity to the volcanoes nearby, it endured the aftermath a series of volcano eruptions. The understated one: Prambanan Temples. Catching the sunrise or sunset at one of these temples have got to be on your list-to-do for sure, with spectacular views and shadow play that lights up the temples in different ways. The Prambanan temples complex opens daily from 6am to 6pm. The admission entry costs a fixed US$10 (and US$6 for students, any student IDs work). It can get quite warm later in the day, so wake up early for this and you won't regret. The bus fare (one-way) to reach Prambanan is 3,000rp from Jalan Malioboro. Historic understanding of the people here at water castle, Taman Sari. This water castle used to function as a royal garden to the Sultanate of Yogyakarta in the 18th century, the Taman Sari. It served as resting quarters, a workshop, meditation area, defense fort, and a hiding place. Get a guide to explain some of the historical importance of the Taman Sari to you. There is a 'concubine pool' that was only reserved solely for the use of the Sultan's women. Admission price for tourists is 7,000rp, with a guide price of 30,000rp. The entire tour of the place takes about 2 hours. Engage in white-water rafting at Elo River and Progo River. 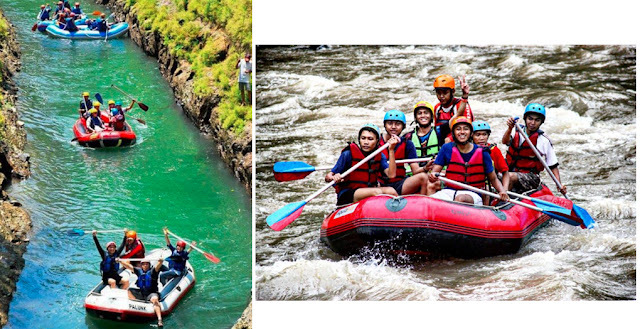 Located just next to Borobudur Temple, white-water rafting at Elo River is safe and manageable even for beginners and a great way to experience the rapid currents of the rivers in Yogya. It takes around 2.5 hours to complete a 12.5km track, and costs 1,150,000rp for a boat of 5 people (~S24/pax), transportation and lunch. Start your journey of Mount Merbabu at the jump-off point of Selo village south of Gunung Merbabu. The 3,142km high dormant volcano is said to not be an easy climb, but the view above is spectacular and makes the journey worth it. For a comprehensive detailed account of climbing Gunung Merbabu, click here. Do a trail at Kalibiru National Park (Kalibiru Wisata Alam). It's no secret that Indonesia is a wealth of natural reserves - Kalibiru is one of them. Beautiful and spectacular for a trail, be sure to check out Sermo lake which is shaped like a dinosaur. There are 3 tree stage spots for photo opportunities along the way too, at each spot there is a fee of 10.000rp to get up to the tree stage spot for photos. Of course you can take pictures elsewhere and skip these fees. 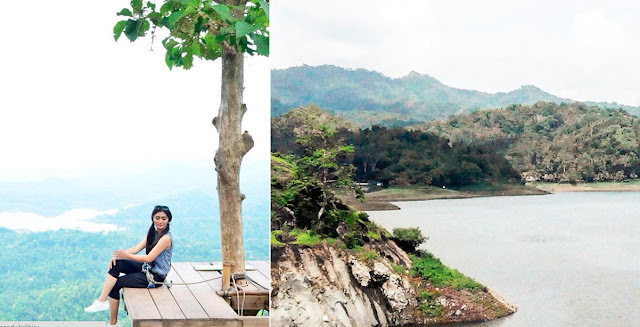 Kalibiru is a bit touristy and crowded since it is one of the popular nature attractions. Dieng Plateau is your less touristy choice, a marshy plateau that forms the floor of a caldera complex. The Plateau is the location eight small Hindu temples (Arjuna temple complex) from the Kalingga Kingdom. 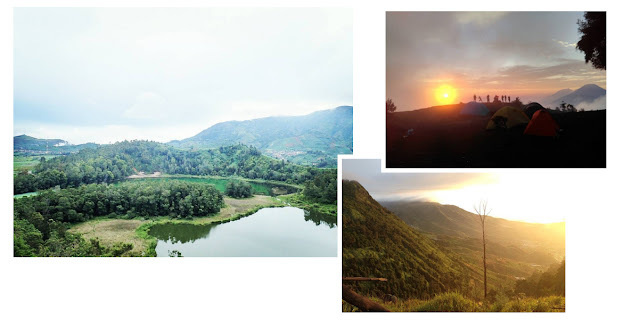 Dieng is a 3-hour drive away from Yogya, with plenty to see and do just in this region itself. Immerse yourself in nature at the two lakes Dieng has to offer (Telaga Warna, Telaga Pengilon), Gua Sumur cave, and a tea plantation. If you're going to stay overnight, catch the sunrise at Sikunir Hill. 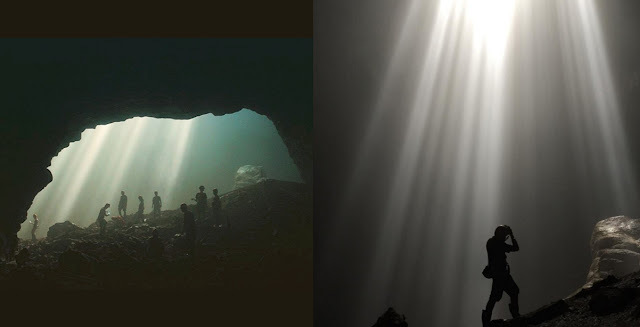 Goa Langse , Goa Jomblang, and the Goa Pindul are some of the popular caves for a visual feast of the stalactites and stalagmite rock formations, cave tubing opportunities and thrilling adventures to venture deep! Entry fees into Jomblang caves are at 450,000rp, a 90-minute drive away from the city. Ranking high on Yogya's beach goals are these: Timang Beach and Parangtritis Beach. They should be sufficient to keep your summer beach desires satiated - first, conquer the adventurous, heart-stopping and memorable (human-powered) cable-chair lift across Timang Beach for 150,000rp in the morning before heading over to the next beach, nearly a 2-hr ride away from Timang. Pop by the grand Gembirawati Temple before Parangtritis. Then, catch your surreal and peaceful sunset at Parangtritis Beach while munching on some juicy roasted corn. Romantic adventure, checked. The Sawah for a uniquely Indonesian experience, Jejamuran for a delicious mushroom-frenzied time and Ikan Bakar Jimbaran for seafood. Note: The popular K'Meals is closed permanently. Street food on Jalan Marlioboro, where you can get steaming plates of fried or grilled seafood served on bamboo mats with some tasty sambal. More authentic Yogya stuff? The 'tennis meatballs' at Baso Tennis Condong Catur and Nasi Bakar with kampung chicken and some kickass kangkung are some of the names you should try. For some local-icious dessert, you cannot miss out on the Wedang Tahu. Finally, refresh yourself with Teh Botol, some local jasmine tea. Jalan Marlioboro is Yogya's main shopping district - don't miss out the huge market Pasar Beringharjo which opens from 7.30am to 4pm daily. Batik, local clothing, kitchen materials, bamboo baskets, flowers, herbs, gula melaka... the list goes on! Bargaining is the norm here at Yogya's oldest market. Tip: the stalls at the back of the market sell cheaper. In the middle of Yogya city, you have classic fortress of Vredeburg Museum and Museum Tembi to visit. At night, visit the Alun-Alun Selatan Kraton and hop onto one of the colourful 'bling-bling' cars for a ride. Stroll along Nol Kilometer to see the sparkling lights illuminating Yogya at night. Where to stay in Yogyakarta to experience the best of everything? Somewhere in the heart of Malioboro, where you will have access to the public buses for day trips out, and you will be close to many of the restaurants, Malioboro mall, Pasar Beringhajo, car rental places too. 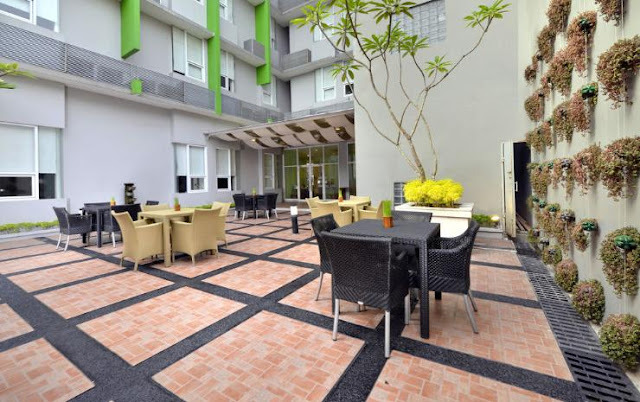 For a comfortable night stay, choose a hotel that has over 1000 positive reviews like Whiz Hotel - prices start from USD27/night onwards for a twin or double room. I share interesting episodes in life revolving around food, lifestyle, travel and inspirational ideas. If you would like to stay in touch, follow me on my Instagram on @amieishungry and Facebook page! great information, sure other travelers and tourists will like it. Thanks for such complete information! Its always good to learn tips like you share for blog posting. As I just started posting comments for blog and facing problem of lots of rejections. I think your suggestion would be helpful for me. Thanks for the blog! Very informative. However i would like to know what is the best way to book tours (trusted) at affordable price? Any recommendations?